After the first FIB troops arrived in Goma some weeks ago, they are now about to engage in first offensive military actions against M23 rebels who are currently trying to recapture the provincial capital Goma. 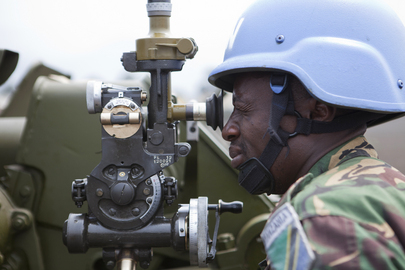 In an official statement, the UN peacekeeping mission MONUSCO announced an upcoming enforcement of a security zone in and around Goma. The rebels were given a deadline of 48 hours to disarm. The intervention brigade (FIB) consists of three battalions, which are supposed to carry out offensive military operations against armed forces in the region in order to neutralize them. Operations are planned and carried out together with the Congolese army (FARDC). This current step of the military leadership of the mission resulted from ongoing attacks on Goma and its suburbs by M23 forces. Using heavy weapons, which caused the death of many civilians since the beginning of the attacks on 14 July, M23 even fired at UN bases. This announcement by the intervention brigade comes almost immediately after the troops have arrived in the region. 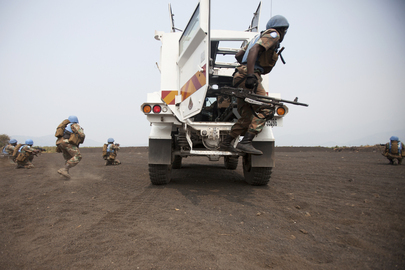 It can be assumed that such use of force by UN troops approaches, legitimized by the Security Council.